There, peering out her front door with a smile as bright as the Saturday morning sun, stood Sue Stallings. Her countenance was inspired by watching a group of Arkansas Tech University students rake and dispose of leaves from her yard as part of the 2018 Green and Gold Give Back event on Nov. 17. 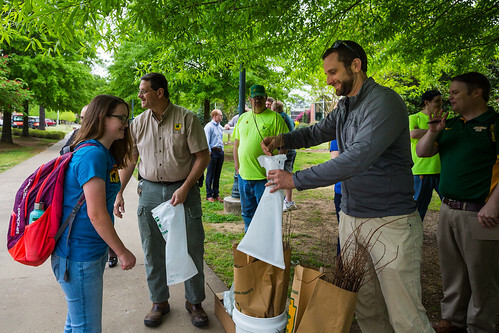 Rubbish removal alongside a well-traveled Russellville roadway was the task for ATU student Sydney Stone and her Phi Mu sisters during the 2018 Green and Gold Give Back. By the time they were finished, Skyline Drive was a lot cleaner and Stone’s education beyond the classroom was enhanced. 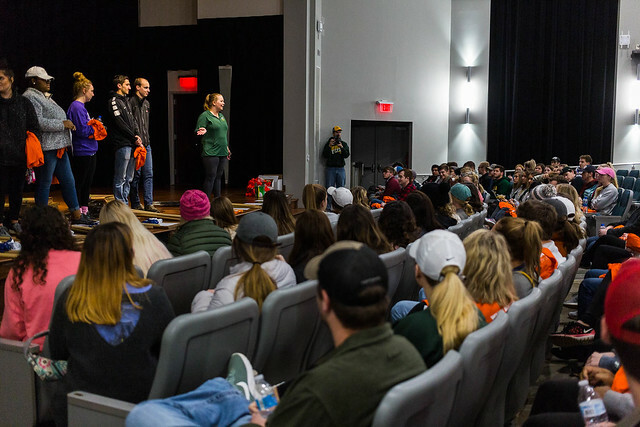 Approximately 300 ATU students registered for the 2018 Green and Gold Give Back. 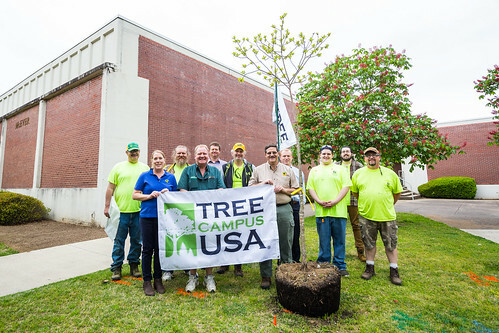 The annual volunteer effort is orchestrated by the ATU Department of Campus Life. 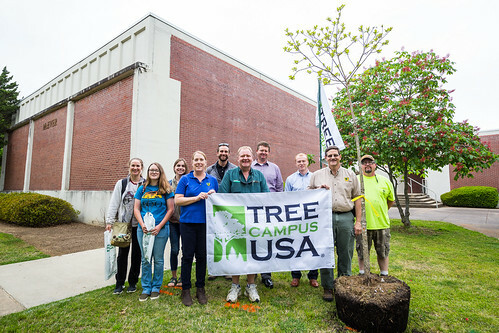 In addition to assisting alumni with yard work and cleaning streets and parks, Arkansas Tech students also gave of their time to benefit multiple local non-profit organizations. 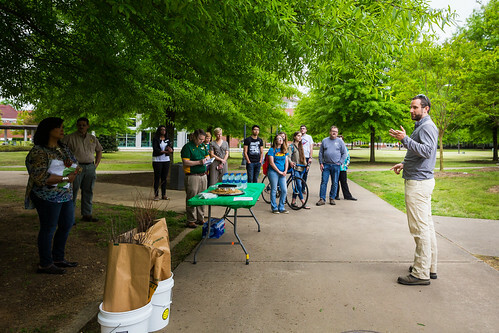 Visit www.atu.edu/service to learn more about the ATU student volunteer opportunities organized by the Arkansas Tech Department of Campus Life.